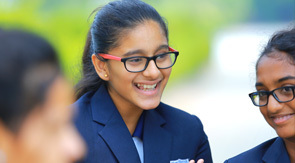 The focus at Manchester International School is to offer children the opportunity to discover and develop their athletic and sporting talents to achieve international recognition. Manchester International School students will be challenged to excel on the playing field and as ambassadors and leaders. The opportunity for identified talented students to train in the hours of daylight, with highly qualified coaches throughout the school year, offers these athletes the time to perfect existing skills and to learn and develop a wider range of new skills. The students also learn from each other, in an environment that fosters and encourages them to be confident and willing to make mistakes, with the ultimate goal of working towards becoming an elite performer. To develop the individuals with the skills, discipline, knowledge and attitude to succeed in the competitions and life outside of sport. These standards help to maintain high expectations of discipline and self awareness among all students.